By A-Metrics LLC based in Charlotte, NORTH CAROLINA (USA). The gas monitoring systems are based on solid state MEMS components and have no direct moving parts, other than related to sample/gas handling. By Sentelligence, Inc. based in Carmel, INDIANA (USA). By Itech 515, SL based in C. Estany, parc. 5.1.5 nave nº, SPAIN. PetroLocate is now offering the latest version of the AquaLocate seismoelectric system (the PL14). 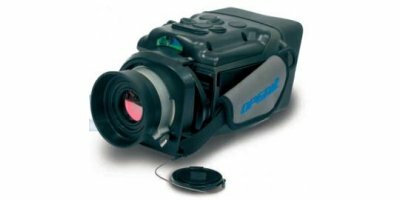 The PL14 is capable of detecting and imaging mobile resistive liquids (oil, gas and fresh water) to depths of up to 3000m (in ideal testing conditions). By PetroLocate based in Lakewood, WASHINGTON (USA). The outdoor light box eLyte is designed to look fantastic and light bright. Durable but still slim, the eLyte outdoor light box offers all advantages of common light boxes and more. All used materials are weather resistant including the waterproof LEDs assuring a safe usage outdoors. By FEPRO ltd. based in Shanghai, CHINA.